3. I really, for some odd reason, like the leftover marks from where I pull the tape off. 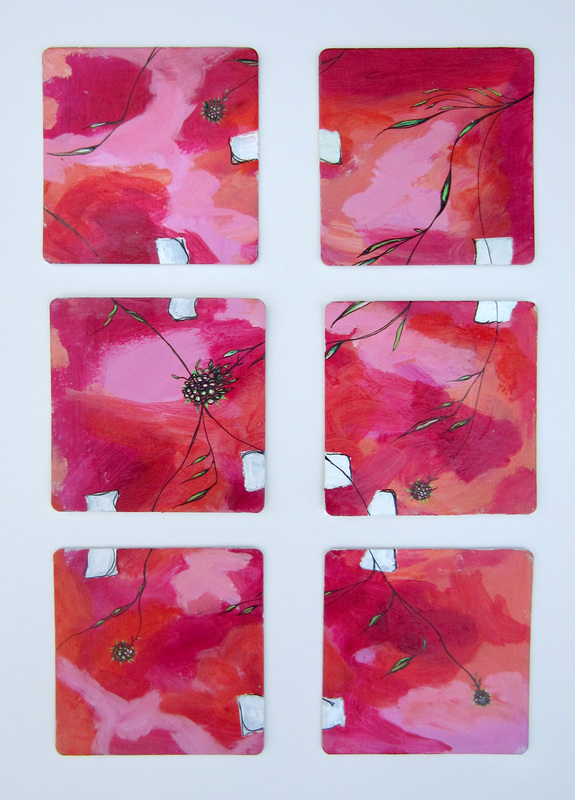 This coaster making go-round, I opted for a bright pink and orange color palette. Using my trusty ink pen I drew some foliage, and added a smidge of green to complete the piece. I really dig the work and think beer pints are going to feel right at home on these bold little guys.